Buying a park home: What do you need to consider? The park home way of life appeals to lots of people from all walks of life. However, buying a park home is a lot different to buying a traditional house — you don't own the land it stands on, for example. So, there are a variety of things you need to consider carefully before taking the plunge. Here, we'll talk through all of the things you need to think about before you decide to buy a park home, and what you should consider during the process. Read on to find out more. Is a park home right for you? Buying a park home can open a door to a whole new way of life. But, while there's a huge range of benefits to selling up and moving onto a park home site, it isn't for everyone. So, it's important that you think long and hard about whether park home life is going to suit you. Here's what you need to consider. Why might you want to live in a park home? More than 250,000 UK residents currently live in park homes, and there are lots of reasons why so many people have chosen this lifestyle. For many people, moving to a park home site can mean swapping city life for a quieter one in the countryside. It's also a great option for anyone looking to become part of a friendly, like-minded community that they feel safe and secure in. Park homes are particularly popular among people who are retiring, and are a great choice for anyone looking to downsize. This is because they tend to be more affordable than brick and mortar homes, and are typically easier to maintain. If you fall into any of these categories, life on a park home site could suit you perfectly. 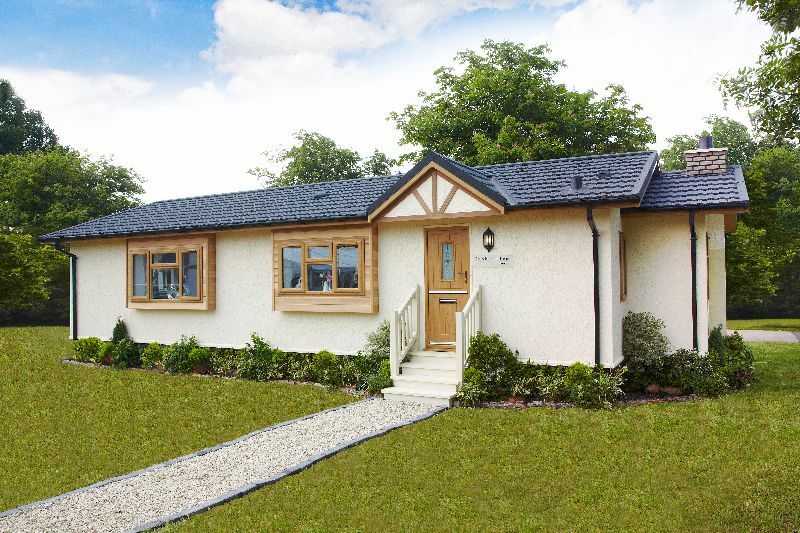 You can find out more about what mobile home life is like by reading our guides to park home living, as well as what a park home is and who can buy one. Who can buy a park home? In short, most people can buy a park home. You may find that some parks have certain age restrictions, but there will be others that are happy to accept everyone from young singles to elderly couples. You just have to find the park that's right for you. The cost of park homes can vary quite a lot, and this will often depend on their location, size, and age. While the average park home is much more affordable than a brick and mortar house, there are some exceptions. For example, if you're looking to buy in a highly sought-after area of the Lake District, you might be shocked by just how expensive the homes there can be. However, as long as you're quite flexible about where you want to live and don't mind shopping around, you'll be able to find a park home that fits your budget. 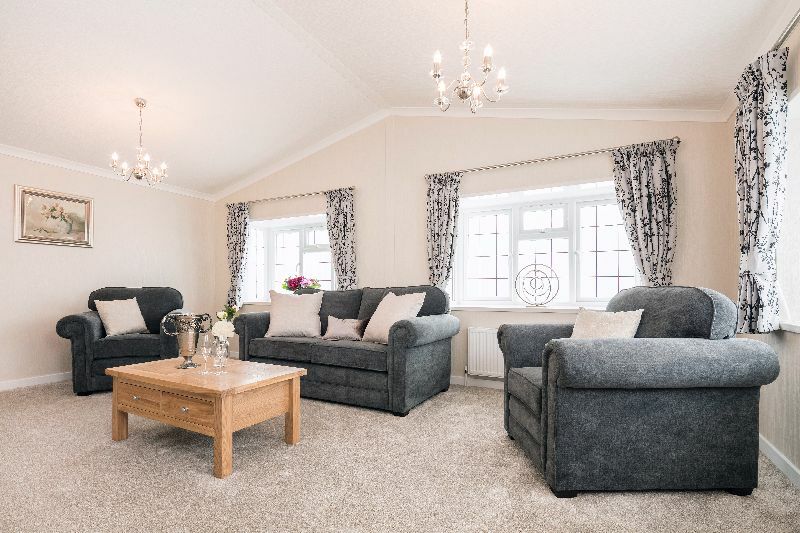 A new park home will usually cost between £70,000 and £400,000, while pre-owned homes are available from around £50,000, according to Quickmove Properties. How much are park home site fees? The park home site you choose to live on will come with its own specific fees, so it's important that you ask about these whenever you're shopping around. You won't actually own the land that your home will sit on — you'll be renting it from the park owner, which will incur a pitch fee. This can be changed once a year, and you must be given 28 days' notice in writing. It's worth noting that, if you and the park owner can't agree on a pitch fee that you both find reasonable, you can apply to a tribunal through the government's website. As with any other home, you will also have to pay for the gas, water, and electricity you use. In line with the Office of the Gas and Electricity Market's standards, park owners aren't allowed to charge you any more than they've paid for your energy. Similarly, with water, they can only charge you what they paid for it as well as a reasonable administration fee. As park home site fees can vary, you should always ask about these before deciding to move onto a specific site. What is the process of buying a park home like? You'll find that the process of buying a park home is quite different to purchasing other residential properties. Here, we'll explain what you can expect when it comes to solicitors, financing, and more. If you're looking to buy a brand-new park home, this will have to be done through the owner of the site you want to live on. You can only buy directly from a manufacturer if you have your own land. Some parks will already have new homes available for you to buy. But, if your chosen site has any empty plots, you'll usually have more freedom to have a bespoke home designed that suits your needs. Typically, the owner of your chosen site will allow you to choose which manufacturer you would like to go with, and you can then visit their factory or showroom to discuss details such as how many rooms you need, what colour scheme you would prefer, and what style of furniture you would like. Once you've chosen or designed your park home, the site owner will confirm the price and arrange everything else, such as transportation, pitching, and connection to utilities. When you're buying a pre-owned park home, the site owner shouldn't be involved — you should be dealing with the person who currently owns the home in question. 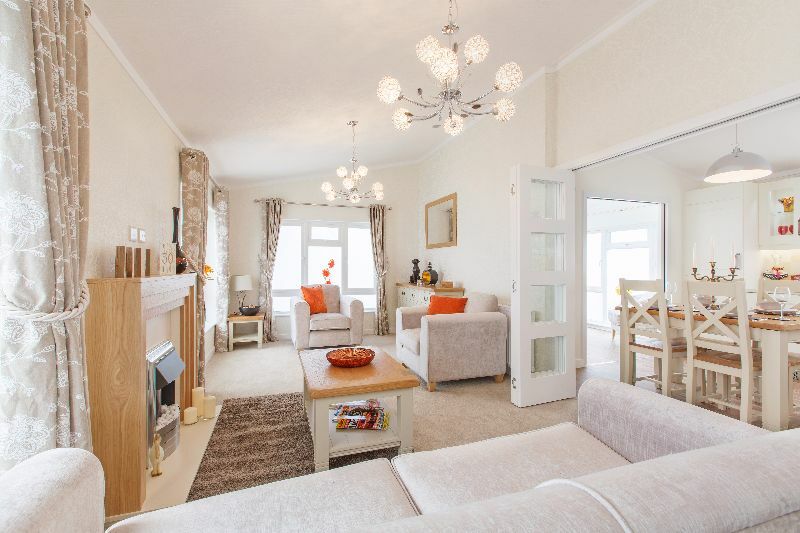 It's vital that you also ensure both you and the seller have taken a look at the Mobile Homes Act 2013, which outlines what needs to be done, and what kind of protection you'll have as the owner of a park home. When buying a pre-owned home, we would strongly suggest seeking the help of a specialist solicitor, as they will help to ensure that the process goes smoothly, and that you tick all of the necessary boxes during the process. We would also recommend having a survey done — especially if you're buying an older home. This will help to ensure that there aren't any existing problems that you're going to have to deal with once the home becomes yours. Do you need a solicitor to buy a park home? While enlisting the help of professionals such as solicitors and surveyors isn't compulsory when buying a park home, the government and LEASE recommend that you always seek independent advice when buying a property. This can help you to identify any issues, ensure you're getting the best deal possible, and help to put your mind at ease. Should you have a park home surveyed? While it isn't compulsory, we would always recommend enlisting the help of a professional to assess the condition of any park home you're looking to buy. The current owner doesn't have to do this, so you may have to arrange one yourself. This will help to ensure that there are no existing problems you'll have to contend with when the property is yours. How can you finance a park home? Mortgages are a specific type of finance that are exclusively applicable to brick and mortar structures that are bought along with the plot of land they're built upon. As a result, they can't be secured against park homes. However, specialist finance companies do offer options that will be more suitable. Park homes are bought outright, and the land they're on will typically be leased to you for a fixed period of time as part of the purchase price. However, it will remain the official property of the park owner. Once this set amount of time has passed, a park home can be moved, sold, or the lease can be renewed. It's very important that you understand the difference between buying and leasing a plot of land, as the length of the site lease could determine what kind of financing you're eligible for. It's also vital that you're aware there's no standard finance option for park homes. This means that you need to do plenty of research to find the best option for you. According to Park Homes, you'll usually be able to borrow a maximum of 80% of the cost of your chosen home, and loan periods may be available for up to 25 years. What should you consider when buying a park home? If you've decided that park home life is for you and you're prepared to go through the process of buying one, it's time to start looking for your new home. There are quite a few things you need to consider when doing this and we'll outline what those are here. Where can you buy a park home? There are more than 1,700 park home sites in the UK according to Park Home Living. They're peppered throughout almost every region, which means you'll have plenty of options when it comes to choosing where you would like to live. Certain sites will come with restrictions — for example, some are reserved for older residents. However, as long as you look around, do plenty of research, and allow some flexibility when choosing the park you would like to live on, you're bound to find one that suits you perfectly. Once you've made your decision, the next step is to get in touch with the park site owner to discuss what your options are. Can you live there all year round? It's important that you don't mistakenly buy a park home to live in all year round, only to find that the park's licensing arrangements don't allow permanent occupation. Certain sites require you to leave your park home for a month or two each year so, if this is something you want to avoid, you need to focus on looking for a park home within a protected permanent residential site. Bear in mind that some parks offer both residential and holiday homes, so it's vital that you check the licence and pitch agreement for each specific plot you're considering. You should be able to learn everything you need to know by speaking to the owner of each park you visit. Should you buy new or pre-owned? Once you've decided that you're committed to buying a park home, one of the first things you need to decide is whether you're going to buy a new or pre-owned one. There are pros and cons to both options, so it's important that you choose carefully. 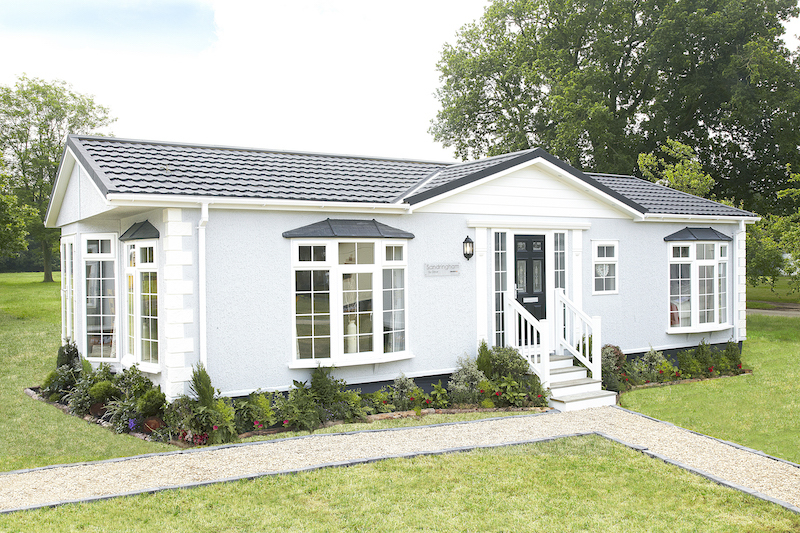 If you opt for a brand-new park home, your chosen site might have some new models you can choose from. Or, if there are empty plots available, you will be able to design a bespoke home with the help of the manufacturer. This will be a particularly attractive option for anyone who has specific needs, such as mobility problems. New park homes also tend to be more modern — especially when compared to models that are more than a decade old. From the way they look to how comfortable they are to live in, a new home can be very different to an older model. For example, Sell My Group estimates that 95% of park homes were built before 2005, which was the year that the current insulation standards were incorporated into the British Standard for Park Homes. As a result of these standards, new park homes tend to be much warmer, with walls, floors, and roofs that are better insulated. Typically, a brand-new park home is going to be easier to look after too. This is because it's going to be in great shape when you move in, and shouldn't require much work, if any. Of course, new park homes do cost significantly more than those that are pre-owned, but they're a great choice if your budget can stretch that far. There are benefits to buying a pre-owned park home, too. Firstly, they tend to be more affordable than brand new models, and you're likely to get more for your money. So, if you find that most of the new homes within your budget are smaller than you would like, don't be afraid to browse older models — you could find just what you're looking for. It's also worth remembering that it's quite easy to update a park home with some new appliances, a fresh coat of paint, and furniture that is more to your taste. If you find an affordable property that's a good size, don't be put off by the décor, because you can always update it yourself. Just make sure the cost won't be more than you're saving by passing up the latest model. Pre-owned park homes are a great option if your budget doesn't stretch too far, and you can always update them to suit your needs and style. Do the park homes come with a warranty? You should always check that a park home site is registered with a reputable warranty provider, such as GoldShield. This will protect you financially if any inherent defects are found in the structure of your home within the first 10 years of it being built. If you would like more information about the 10-year park home warranty we offer, be sure to read our guide to understanding your GoldShield warranty. You can ensure that any parks you're looking at offer our warranty and comply with BS3632, a British Standard that means their homes are suitable for use as a permanent residence, by checking our list of GoldShield-registered parks. If you buy a new park home on any of these sites, you'll need to check if the park owner will register your home for you, or whether the responsibility falls to you. If you have to do this yourself, you need to register your GoldShield warranty in the first year of ownership (doing this more than 90 days after purchase will incur a late registration fee). Alternatively, if you're buying a pre-owned park home that's less than 10 years old, the warranty can be transferred to you. For more information, about this process, read our guide to the transfer of ownership. When you're thinking about buying a park home, it's important that you consider all of the points we've discussed. This will help you to find a home you can be happy in for years to come, and will prepare you for any problems that might arise both before and after you make your purchase.